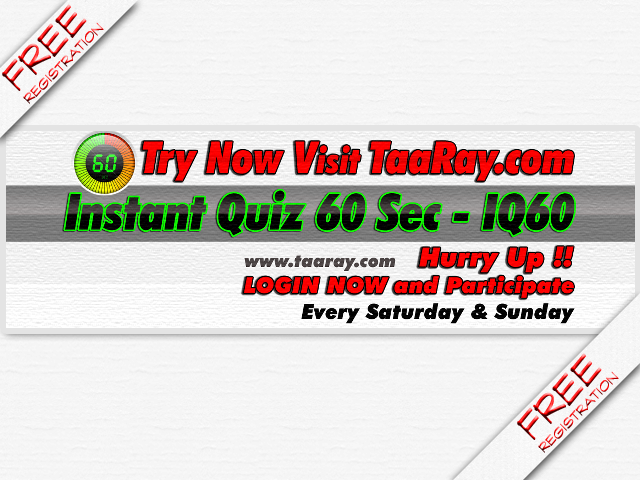 Test IQ 60 - Instant Quiz 60 Seconds Now Live ! Most people would steer clear of any snakes or over-sized spiders that crossed our paths. We have a sort of logic when it comes to animals that tells us “Bigger = Deadlier.” And in the case, say, a King Cobraversus a garden snake, that argument checks out. But more often, you will often find that the opposite is true. Many animals make up for their small size with deadly venom, and so what may look like a regular snail could actually be your final downfall. Below are ten tiny, but incredibly deadly, animals. These snakes, related to cobras, are found in the deserts of Mexico and the Southern US. While they can grow to about two feet, they usually don’t, and are much smaller and skinnier than most other snakes. As if they’re not hard enough to see, due to their size, they tend to be nocturnal. Lucky for us, they prefer to indulge in cannibalism, snacking almost exclusively on other snakes. But if you do decide to pick one up and play with it, beware: their venom is a powerful neurotoxin that can paralyze your central nervous system. Try to forget about starting another grammar war over whether it’s “octopuses” or “octopi,” and try to focus on how this thing will straight-up kill you. 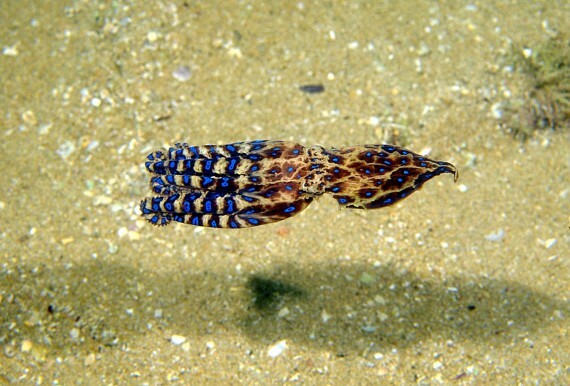 The Blue Ringed Octopus can be found in the waters aroundAustralia, and measure up to a whopping 4 inches in size. Usually it is a brown or yellow color but, when frightened, its blue rings will light up all over its body. However, as pretty as it is, do not touch! The tiny critter has an incurable venom toxic enough to kill 26 adults humans in a matter of minutes. So called because they hunt prey, as opposed to spinning webs, the Brazilian Wandering Spider has been recognized since 2007 as the spider with the most powerful venom in the world, and the one responsible for the most human deaths. Most victims will die within an hour of being bitten. 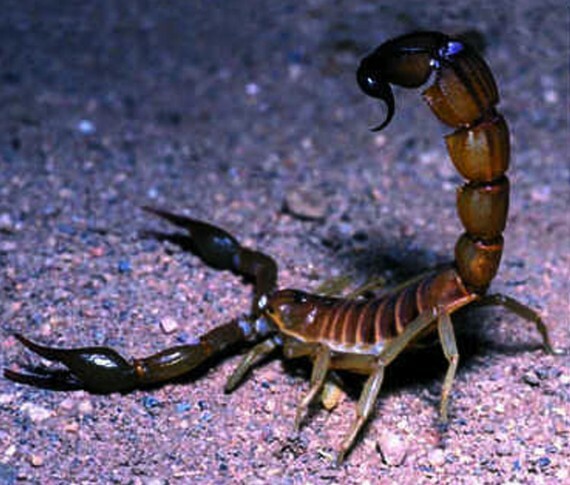 Deathstalker scorpions are mainly found throughout Africa and Asia in mainly dry, desert habitats, measuring up to 4 inches, but usually around 2. They are considered to contain among the most powerful and painful scorpion venom in the world, which can cause fever, convulsions, paralysis and death. When it comes to scorpions in general, the smaller the pincer, the more powerful the venom. While many people would probably assume the opposite, this is because those with large pincers can rely on the force of their bite to get their message across, while those with small ones need toxins to defend themselves. Actually a type of wasp, there are 15 species of tarantula hawks in North America, and they can grow to be about 2 inches long. 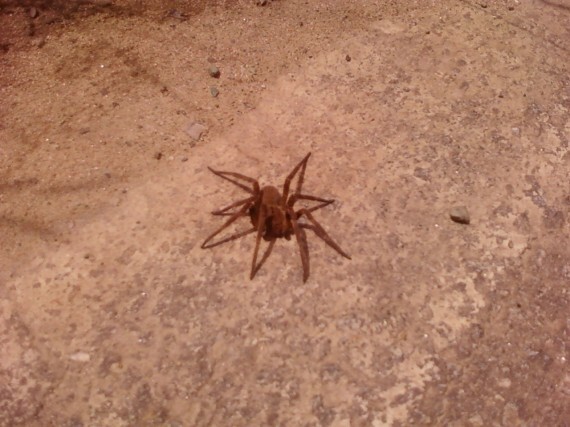 They are so called because they hunt tarantulas, stinging and paralyzing them. The Tarantula hawk will then lay eggs in the spider, and bury it alive. When the eggs hatch, they will eat the spider alive for 35 days. So unless you’re a tarantula, that’s not something you need to worry about. But that doesn’t mean you have nothing to worry about, since its venomous sting is meant to be the second-most painful sting in the animal kingdom. 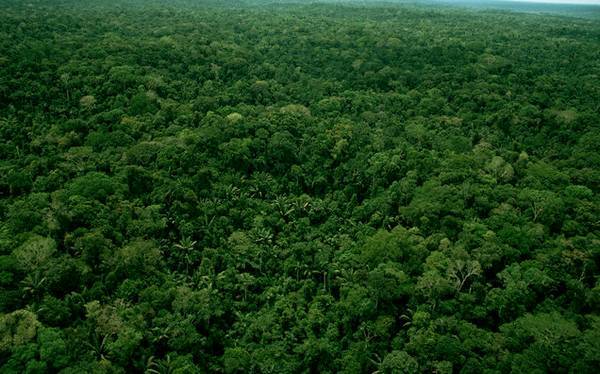 The Amazon rain-forest produces more than 20% of the world's oxygen supply. The Amazon River pushes so much water into the Atlantic Ocean that, more than one hundred miles at sea off the mouth of the river, one can dip fresh water out of the ocean. The volume of water in the Amazon river is greater than the next eight largest rivers in the world combined and three times the flow of all rivers in the United States. Antarctica is the only land on our planet that is not owned by any country. 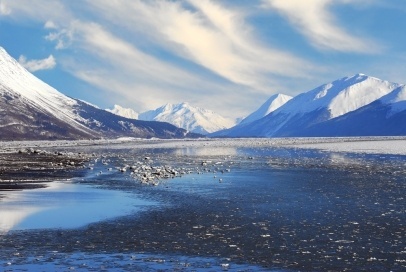 Ninety percent of the world's ice covers Antarctica. This ice also represents seventy percent of all the fresh water in the world. 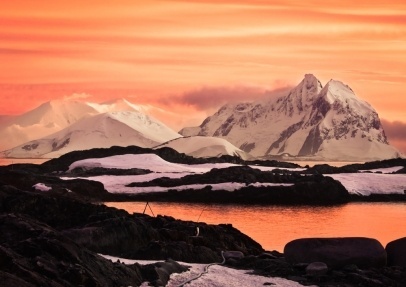 As strange as it sounds, however, Antarctica is essentially a desert. The average y early total precipitation is about two inches. Although covered with ice (all but 0.4% of it), Antarctica is the driest place on the planet, with an absolute humidity lower than the Gobi desert. Beyond the information revolution: How will technology change the classroom? Welcome to free world of flip questions., FlipQ is an innovative product created by experts which helps students to learn. 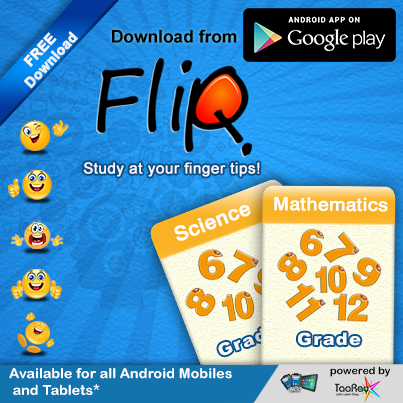 Hit : market://search?q=flipq&c=apps - from your android mobile. 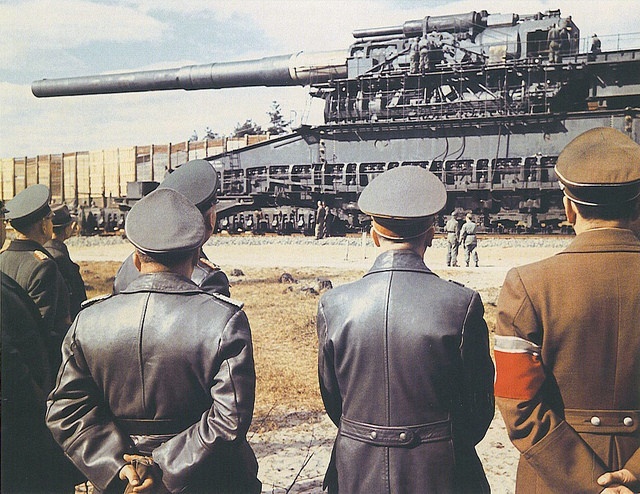 Largest Gun Ever "Gustav Gun"
Hitler looking at the Gustav Railway gun. The largest gun ever built was the "Gustav Gun" built in Essen, Germany in 1941 by the firm of Friedrich Krupp A.G. Upholding a tradition of naming heavy cannon after family members, the Gustav Gun was named after the invalid head of the Krupp family - Gustav Krupp von Bohlen und Halbach. The strategic weapon of its day, the Gustav Gun was built at the direct order of Adolf Hitler for the express purpose of crushing Maginot Line forts protecting the French frontier. To accomplish this, Krupp designed a giant railway gun weighing 1344 tons with a bore diameter of 800 mm (31.5") and served by a 500 man crew commanded by a major-general. Two types of projectiles were fired using a 3000lb. charge of smokeless powder: a 10,584 lb. high explosive (HE) shell and a 16,540 lb. concrete-piercing projectile. Craters from the HE shells measured 30-ft. wide and 30-ft. deep while the concrete piercing projectile proved capable of penetrating 264-ft. of reinforced concrete before exploding! Maximum range was 23 miles with HE shells and 29 miles with concrete piercing projectiles. Muzzle velocity was approximately 2700 f.p.s. Three guns were ordered in 1939. Alfried Krupp personally hosted Hitler and Albert Speer (Minister of Armaments) at the Hugenwald Proving Ground during formal acceptance trials of the Gustav Gun in the spring of 1941. In keeping with company tradition, Krupp refrained from charging for the first gun - 7 million Deutsch Marks were charged for the second (named Dora after the chief engineer's wife). 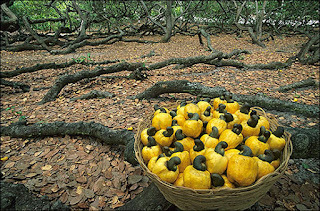 In 1994, the Guinness Book of Records set aside a separate column for the world’s largest cashew tree called Maior Cajueiro do Mondo located in Natal, Brazil. 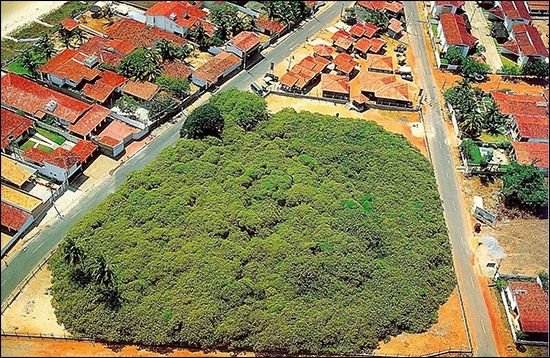 The gigantic tree has grown from an amalgamation of two genetic tissues. Such tissues allow the branches of the tree to grow outwards rather than upwards. Gradually, hence, the branches tend to stoop towards the ground and eventually make for a root. This new root further grows into a new tree. 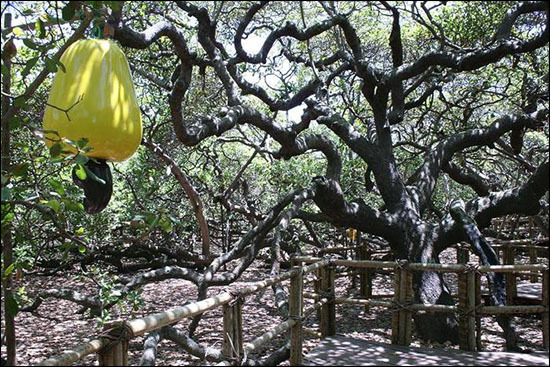 The massive tree occupies 80,000 square feet of land or roughly five acres. It is guessed to be around thousand years old. One can easily climb a tower to view this tree from a vantage point or for that matter, even climb up through the roots. 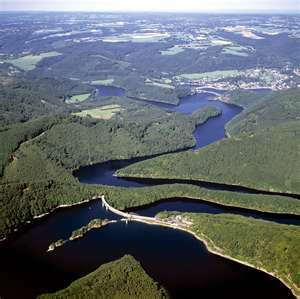 You can heartily go and pay a visit to this enormous work of nature. However, beware of the orange caterpillars. These gorgeous looking insects are poisonous. They swamp over the tree seasonally and are a size of a finger. 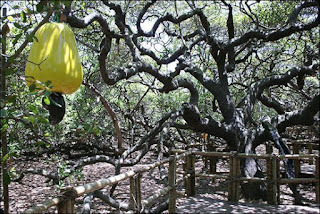 The beauty of this tree is that it produces 60,000 pieces of cashew fruit each year. As for some people it may come as a surprise that a cashew nut is not the fruit but a single nut is attached only to the bottom of the fruit! In Australia there are many species of Spider, but one very small variety, found so far only in Queensland and New South Wales, is ‘Maratus Volans’. Also known as the Jumping Peacock Spider, the miniature males have truly amazing colours of iridescent red, green and blue, among others. The head and breast parts of this spectacular beast are usually very dark with red stripes, while the upper abdomen area is green, blue and red. That is not the end of the story, however, because, like peacocks, male spiders also possess a sort of cape or flap around their abdomen which they can raise for display whilst courting. These dramatic-looking spiders may seem like they're getting ready to attack, but this colorful display from male peacock spiders is in fact a mating ritual. Similar to peacock birds, where this spider gets its nickname from, the male flashes it’s brightly colored, iridescent stomach flaps in a bid to attract females. And even if these arachnids did attack, they wouldn't get far because the adults only grow to about 5mm long. Male peacock spiders extend their legs and flash their colorful, iridescent abdominal flaps to attract a mate. Peacock spiders are members of the jumping spider’s family, renowned for being tiny. Adults only grow up to around 5mm in length. 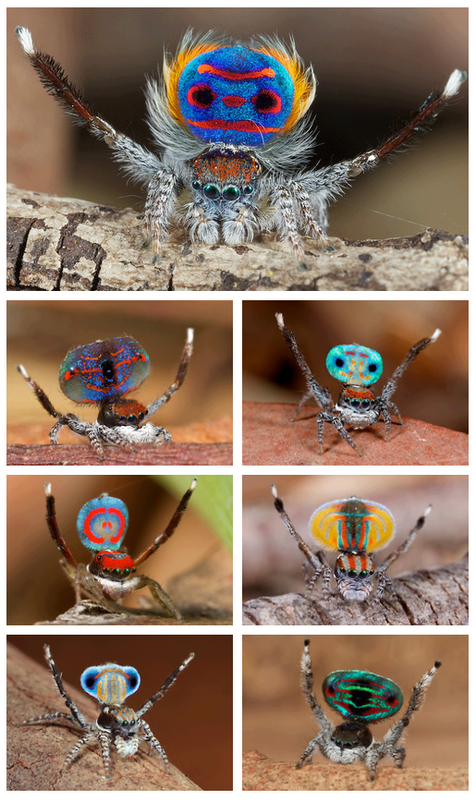 While the male peacock spiders carry out their mating ritual, the females carefully study the coloring, vibrations and movements to make sure the potential suitor is healthy and the correct species to mate with. This is the Maratus harrisi species of peacock spider that is traditionally found in the Namadgi National Park in New South Wales. The ruler is shown for scale. When a male peacock spider senses a female it will begin the mating ritual by lifting its legs and flashing its stomach in a sequence that looks like a dance routine. The females carefully study the coloring, vibrations and movements of the male to make sure the potential suitor is healthy and the correct species to mate with. Once he has mated, he will repeat this dance with as many females as he can find and Maratus spiders can have multiple partners at one time. There are 20 known species of peacock spiders living in Australia, yet they're so hard to come by only eight have been formally identified. All you need to know about "The 5-second rule"
Almost everyone has dropped some food on the floor and still wanted to eat it. If someone saw you drop it, he or she might have yelled, "5-second rule!" This so-called rule says food is OK to eat if you pick it up in 5 seconds or less. Believe it or not, scientists have tested the rule. We're sorry to report it's not necessarily true. Bacteria can attach itself to your food even if you pick it up super-fast. But will your dropped food contain enough bacteria to make you sick? It's possible — and that's why you shouldn't eat food that has hit the floor. It take 3 days for an honey bee egg to hatch. 8 days from when the queen lays an egg for the larvae to be capped. 21 days from when the queen lays an egg for a worker bee to emerge from the cell. 24 days from when the queen lays an egg for a drone to emerge from the cell. 16 days from when the queen lays an egg for a virgin queen to emerge from the cell. 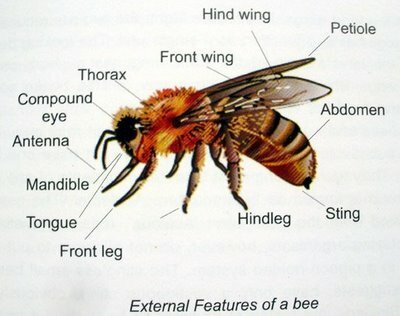 Honey Bees have 2 sets of wings, and six legs. Honey bees have two stomachs. Honey bees fly up to 2 miles for nectar and pollen. 15 Incredible Images of Bugs Up Close ! Like solids and liquids, gas is a common state of matter. Pure gases are made up of just one atom. Neon is an example of a pure gas. Elemental gases are made up of two or more of the same atoms joined together. Hydrogen gas (H2) is an example an elemental gas. Compound gases contain a combination of different atoms. Carbon monoxide (CO) is an example of a compound gas. The air we breathe here on Earth is made up of different gases. It contains around 78% nitrogen, 21% oxygen, 1% argon and a small amount of other gases. Natural gas contains mostly methane, it is used as a fuel to generate electricity and is common in the home where it can be used for heating, cooking and other purposes. Gas pressure is measured in pascals. The helium balloons you get at parties and carnivals float because helium is lighter than the air surrounding it. Noble gases are a group of chemical elements that are very stable under normal conditions. Naturally occurring noble gases include helium, neon, argon, krypton, xenon and radon. The ozone layer that protects Earth from the Sun’s potentially damaging UV light is made up of ozone (O3), an oxygen allotrope containing 3 oxygen atoms bound together. Nitrous oxide (N20) is a gas with interesting properties that allow it to be used in a variety of different ways, these include as an anesthetic in hospitals (you may have heard it referred to as laughing gas) and to increase the power of engines in motor racing (often called nitrous or just NOS). Sunrise is the instant at which the upper edge of the Sun appears above the horizon in the east. Sunrise should not be confused with dawn, which is the (variously defined) point at which the sky begins to lighten, some time before the sun itself appears, ending twilight. Because atmospheric refraction causes the sun to be seen while it is still below the horizon, both sunrise and sunset are, from one point of view, optical illusions. The sun also exhibits an optical illusion at sunrise similar to the moon illusion. The apparent westward revolution of Sun around the earth after rising out of the horizon is due to Earth's eastward rotation, a counter-clockwise revolution when viewed from above the North Pole. This illusion is so convincing that most cultures had mythologies and religions built around the geocentric model. This same effect can be seen with near-polar satellites as well. The timing of sunrise varies throughout the year and is also affected by the viewer's longitude and latitude, altitude, and time zone. Small daily changes and noticeable semi-annual changes in the timing of sunrises are driven by the axial tilt of Earth, daily rotation of the earth, the planet's movement in its annual elliptical orbit around the Sun, and the earth and moon's paired revolutions around each other. In the springtime, the days get longer and sunrises occur earlier every day until the day of the earliest sunrise, which occurs before the summer solstice. In the Northern Hemisphere, the earliest sunrise does not fall on the summer solstice around June 21, but occurs earlier in June. The precise date of the earliest sunrise depends on the viewer's latitude (connected with the slower Earth's movement around the aphelion around July 4). Likewise, the latest sunrise does not occur on the winter solstice, but rather about two weeks later, again depending on the viewer's latitude. In the Northern Hemisphere, the latest sunrise occurs in early January (influence from the Earth's faster movement near the perihelion, which occurs around January 3). Likewise, the same phenomena exist in the Southern Hemisphere except with the respective dates reversed, with the latest sunrises occurring some time after June 21 in winter and earliest sunrises occurring some time before December 21 in summer, again depending on one's southern latitude. For one or two weeks surrounding both solstices, both sunrise and sunset get slightly later or earlier each day. Even on the equator, sunrise and sunset shift several minutes back and forth through the year, along with solar noon. These effects are plotted by an analemma. Due to Earth's axial tilt, whenever and wherever sunrise occurs, it is always in the northeast quadrant from the March equinox to the September equinox and in the southeast quadrant from the September equinox to the March equinox. Sunrises occur due east on the March and September equinoxes for all viewers on Earth. Incident solar white light traveling through the Earth's atmosphere is attenuated by scattering and absorption by air molecules and airborne particles via a combination of Rayleigh scattering and Mie scattering. At sunset and sunrise, sunlight's path through the atmosphere is much longer than during the daytime, which creates different colors. At sunrise and sunset, there is more attenuation and light scattering by air molecules that remove violets, blues, and greens, relatively enhancing reds and oranges. Because the shorter wavelength light of violets, blues, and greens scatter more strongly by Rayleigh Scattering, violets, blues, and greens are removed almost completely from the incident beam, leaving mostly only longer-wavelength orange and red hues at sunrise and sunset, which are further scattered by Mie scattering across the horizon to produce intense reds and oranges when there are soot, dust, or solid or liquid aerosols in the atmosphere. The removal of the shorter wavelengths of light is due to Rayleigh scattering by air molecules and small particles of sizes an order of magnitude smaller that the wavelength of visible light (typically particles and molecules smaller than 50 nm). The sun is actually white when observed without any air between the viewer and the sun, so, sunlight in outer space contains a mixture of violets, blues, greens, yellows, oranges, and reds. Due to Rayleigh scattering, the sun appears reddish or yellowish when we look at it from Earth, since the longer wavelengths of reds and yellow light are scattered the least, passing through the air to the viewer, while shorter wavelengths like violet, blue, and green light are in effect removed from direct sunlight by air molecules' Rayleigh scattering. Rayleigh scattering is the elastic scattering of electromagnetic radiation due to the polarizability of the electron cloud in molecules and particles much smaller than the wavelength of visible light. Rayleigh scattering intensity is fairly omnidirectional and has a strong reciprocal 4th-power wavelength dependency, and, thus, the shorter wavelengths of violet and blue light are affected much more than the longer wavelengths of yellow to red light. During the day, this scattering results in the increasingly intense blue color of the sky away from the direct line of sight to the Sun, whereas, during sunrise and sunset, the much longer path length through the atmosphere results in the complete removal of violet, blue, and green light from the incident rays, leaving weak intensities of orange to red light. After Rayleigh scattering has removed the violets, blues, and greens, people's viewing of red and orange colors of sunsets and sunrises is then enhanced by the presence of particulate matter, dust, soot, water droplets (like clouds), or other aerosols in the atmosphere, (the notable one being sulfuric acid droplets from volcanic eruptions). Particles much smaller than the wavelength of the incident light efficiently enhance the blue colors for off-axis short path lengths through air (resulting in blue skies, since Rayleigh scattering intensity increases as the sixth power of the particle diameter). Larger particles as aerosols, however, with sizes comparable to and longer than the wavelength of light, scatter by mechanisms treated, for spherical shapes, by the Mie theory. Mie scattering is largely wavelength-insensitive. Its spacial distribution is highly preferential in the forward direction of the incident light being scattered, thus having its largest effect when an observer views the light in the direction of the rising or setting Sun, rather than looking in other directions. During the daytime, Mie Scattering in general causes a diffuse white halo around the Sun, decreasing the perception of blue color in the direction toward the Sun, and it causes daytime clouds to appear white due to white sunlight. At sunset and sunrise, Mie scattering off of particles and aerosols across the horizon, then transmits the red and orange wavelengths that remain after Rayleigh scattering has depleted the blue light. This explains why sunsets without soot, dust, or aerosols are dull and fairly faint-red, while sunsets and sunrises are brilliantly intense when there are lots of soot, dust, or other aerosols in the air. Sunset colors are typically more brilliant than sunrise colors, because, in general, the evening air contains more particles and aerosols and clouds than morning air. Cloud droplets are much larger than the wavelength of light, so they scatter all colors equally by Mie scattering, which makes them appear white when illuminated by white sunlight during the daytime. The clouds glow orange and red due to Mie scattering during sunsets and sunrises, because they are illuminated with the orange and red light that remains after multiple prior Rayleigh scattering events of the light from the setting/rising sun. Ash from volcanic eruptions, trapped within the troposphere, tends to mute sunset and sunrise colors, whereas volcanic ejecta lofted into the stratosphere (as thin clouds of tiny sulfuric acid droplets) can yield beautiful post-sunset colors called afterglows and pre-sunrise glows. A number of eruptions, including those of Mount Pinatubo in 1991 and Krakatoa in 1883, have produced sufficiently high stratospheric sulfuric acid clouds to yield remarkable sunset afterglows (and pre-sunrise glows) around the world. The high-altitude clouds serve to reflect strongly-reddened sunlight still striking the stratosphere after sunset, down to the surface. Exclusive FREE eLearning portal for, Students, Parents and Teachers. 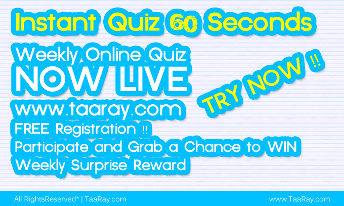 TaaRay is a free platform that enables students to create their own personal learning environment. 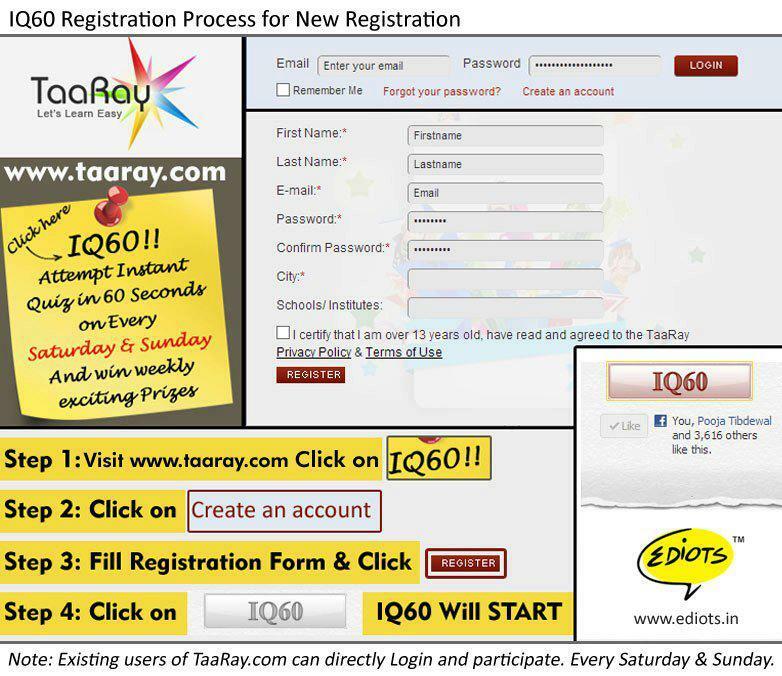 TaaRay provides a learning platform that allows the students to do all of studying and sharing at one place. 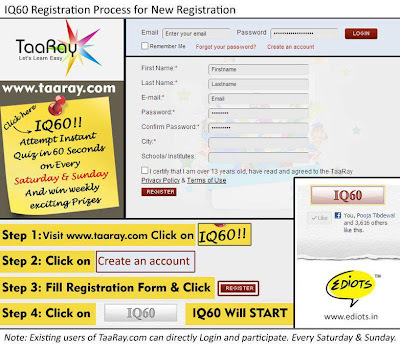 TaaRay offers free educational materials for students. Our interactive videos are a fun way to understand concepts, solve homework problems and become a smarter student at school.TaaRay panel of experts has handpicked the best educational videos from the web and organized them for ease of use to bring your school curriculum to life. Join us and become a smarter student! TaaRay focuses on building and reflecting of social relations among students. A networking feature allows a user to share videos, photos, and message and make likeminded friends. Students can post their learning content on various social media like Face book, Twitter or any other social networks to connect with friends, classmates, and other students. Students will have access to a rich academic data in TaaRay's digital content library. Users can combine TaaRay's digital content with their own generated content. A powerful search interface ensures that students will have no trouble finding the exact resources or information they need. In addition to finding content, students can also produce their own content by using the in-built content creation tools. Easy to use, these tools enable students to produce items like flash cards, notes, albums etc. They can even upload videos, audio clips, and images and combine those with other assets to form albums, or collections of content focused on specific subject matter. Students can also tag and add to favorites the content they wish to use again is added to the personalized home page of the student, which serves as the one convenient access point for all of their learning materials. Q#429 - Can you solve this question?Comment right answer. These bird migration facts might surprise you. Every birder is familiar with migration as a great time to see new and unusual bird species passing through areas where they might not be found during the breeding or wintering seasons, but how much do you really know about migration? These bird migration facts might surprise you! Migration peaks in spring and fall, but in reality, there are birds migrating 365 days a year. The actual dates of when birds migrate depends on many factors, including bird species, migration distance, travel speed, route, climate and more. Before migrating, many birds enter a state of hyperphagia, where hormone levels compel them to drastically increase their body weight to store fat to use as energy while traveling. Some bird species may as much as double their body weight in the weeks leading up to migration. The time it takes a single bird to complete its one way migration can range from a few weeks to up to four months, depending on the total distance, flight speed, route and stopovers. 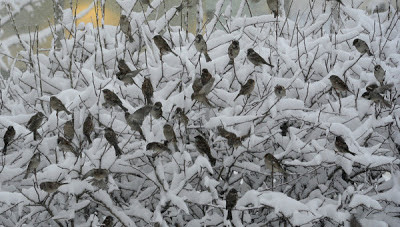 Birds migrating late in the season typically travel faster than earlier migrants of the same species. Hawks, swifts, swallows and waterfowl migrate primarily during the day, while many songbirds migrate at night, in part to avoid the attention of migrating predators such as raptors. The cooler, calmer air at night also makes migration more efficient for many species, while those that migrate during the day most often take advantage of solar-heated thermal currents for easy soaring. Migrating birds use the stars for navigation, as well as the sun, wind patterns and landforms, all of which help guide them to the same locations each year. The earth's magnetic field also plays a part in how birds migrate. Birds may fly from 15-600 miles or more per day during migration, depending on when they are migrating, how far they have to go and the conditions they face along the route, including the availability of suitable stopovers. Transoceanic migrants – birds who follow a migration route that crosses an ocean – may spend up to 100 hours or more in the air at a single time until they come to land. Many migratory birds have longer, more pointed wings than nonmigratory species or birds with shorter migrations. This wing structure is more aerodynamic with less air resistance and allows for more efficient, easier flight. Migrating birds travel at speeds ranging from 15-50 miles per hour depending on the species, flight pattern and prevailing winds that can increase or decrease speed. While most migrating birds fly at heights lower than 2,000 feet, birds have been recorded migrating at up to 29,000 feet high. The height of a bird's migration flight depends on wind patterns and landforms that may create obstacles, such as mountain ranges. The ruby-throated hummingbird migrates from the Yucatan peninsula of Mexico to the southeastern United States every spring, a journey of 500-600 miles over the Caribbean Sea that takes 24 hours without a break. The rufous hummingbird has the longest migration of any hummingbird species: a one-way trip of 3,000 miles between its breeding grounds in Alaska and its winter range in Mexico. In spring, rufous hummingbirds travel north up the Pacific coast, while in autumn they travel south through more mountainous regions. The Arctic tern has the longest recorded migration of any bird on the planet; banded Arctic terns have confirmed a round-trip migration of roughly 22,000 miles. Migrating birds face many threats along their journeys, including window collisions, confusing lights that disrupt navigation, hunting, habitat loss and predation. Juvenile birds are at greater risk because of their inexperience with migration – yet somehow, birds successfully migrate every year. Welcome to free world of flip questions. 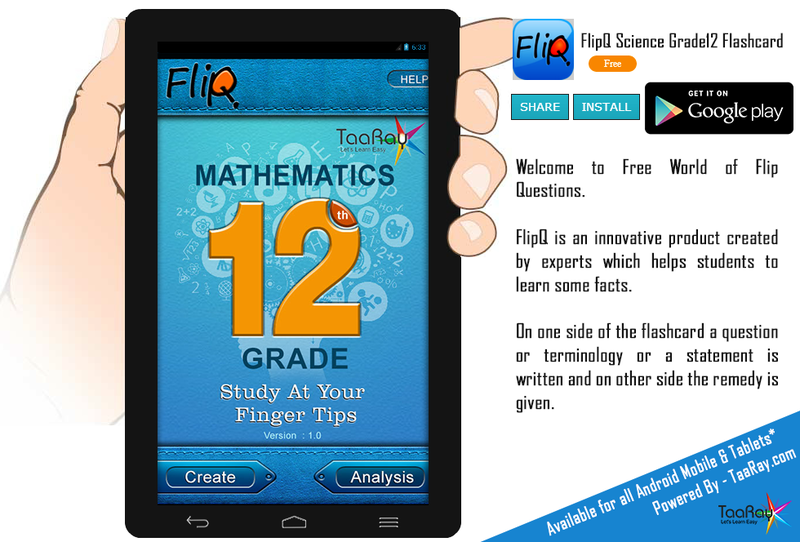 FlipQ is an innovative product created by experts which helps students to learn some facts. On one side of the flashcard a question or terminology or a statement is written and on other side the remedy is given. This flashcard study tool helps the students to memorize a terminology, understand a concept or test his knowledge topic wise in a subject. 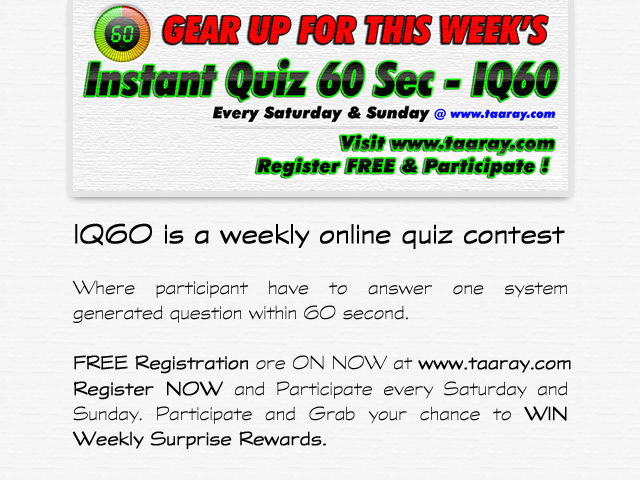 FlipQ is powered by TaaRay.com which is a global free learning and networking website for students, educators and institutes. All FlipQ(Flip Questions) are general understanding memorizing type . This will help the student to understand the concept or self assess for understanding only. 1. Millions of flashcard created by experts gradewise & topicwise . 2. 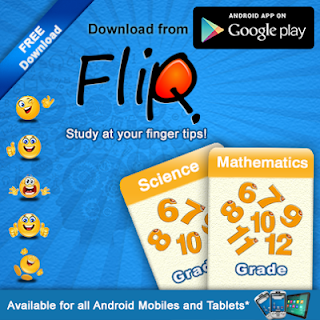 FlipQ (Flashcards) is regularly updated. 3. Categorized into four parts for better understanding. 4. Topic wise review analytics. 5. Time controlled flip analysis. 7. Flashcards marked for review can be visited again. 8. All attempts saved under different file name. 9. Auto naming of flip cards once launched. 11. Term, Short answer ,Fill in the blanks and True and false categorized. 12. User can select one or all categories to flip. 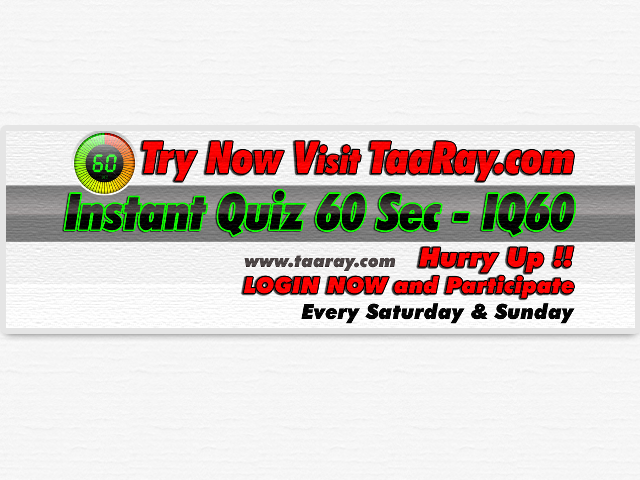 Please provide us your valuable feedback or any error detected by an email toandroid@taaray.com or contact@taaray.com . And if you like the app please do write a review. Dolphins, like humans, are mammals. They are warm-blooded, bear live young, breathe air, and they require sleep. However, for dolphins, sleeping and breathing at the same time can pose a bit of a problem. Humans are able to breathe during sleep as they live on land and can perform the task unconsciously. However, dolphins are aquatic mammals; they must actively make the decision to breathe and come up to the surface for air. Fortunately, as Bob Holmes notes in his May 1, 2009 article "'Brain-juggling' lets dolphins avoid sleep deprivation" published in NewScientist, nature has come up with a remarkable solution to the problem so that dolphins sleep without drowning. The February 2, 1998 Scientific American article "How do whales and dolphins sleep without drowning" describes this interesting process of dolphin sleeping. Dolphins are able to send one half of their brain to sleep at a time so that they are never completely unconscious.The other half of the brain monitors what’s going on, ensuring that the animal stays out of danger and continues to breathe. Which half sleeps switches from nap to nap. Dolphins often swim with dolphins in groups called pods. During sleep they keep at least one eye open, allowing them to stay in contact with the others in the pod and coordinate their movements. Although they could likely sleep anywhere, usually dolphins sleep near the surface so that they can come up for air easily. These creatures can often be seen swimming slowly near the surface with little movement. This action is called “logging” and these dolphins are at rest. Perhaps dolphins dream about their day, eating, chatting with other dolphins, a round-the-world swim with dolphins in pods. The truth is nobody knows for sure. However, Margaret Klinowska does note in her September 26, 1994 essay “Brains, Behaviour and Intelligence in Cetaceans” published in the second edition of 11 Essays on Whales and Man, that dolphins are one of the few mammals that do not have REM sleep. Humans sleep during the REM stage of the sleep cycle. One could deduce that if dolphins don’t have a REM stage, then they can’t have dreams. However, some scientists dispute this claim and say dolphins merely have very low levels of REM sleep. It’s also possible that dolphins sleep and dream differently from humans. Studies done on captive belugas and grey whales show that these aquatic mammals sometimes have muscular spasms during their brief REM stage, which could be associated with dreaming. How Do Scientists Know Dolphins Sleep? Scientists don’t just swim with dolphins and watch them for hours, although observation is an important component of their studies. The 1998 Scientific American article describes how scientists use electroencephalography – hooking up electrodes to captive dolphins’ heads and measuring the electricity levels in their brains. The resulting data is an electroencephalogram or EEG. The EEG shows that during sleep, half of the dolphin’s brain is active while the other half shuts down. Studies show that dolphins sleep about eight hours a day. 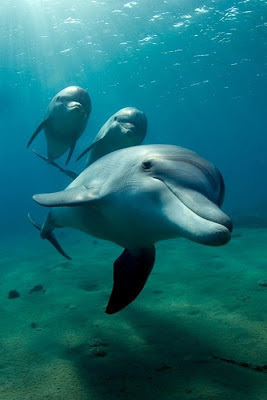 Dolphins have captured the hearts of many people. However, many species are endangered due to fishing practices and human caused environmental changes. Hopefully, actions can still be taken to save this wonderful species. They should be able to live in their natural environments peacefully whether asleep or awake. Built more like greyhounds than typical cats, cheetahs are adapted for brief but intense bursts of speed. They have wiry bodies and small heads. Their coats are golden or yellowish, embellished with many small black spots, and their tails are long with a few black bands and sometimes a white tip. 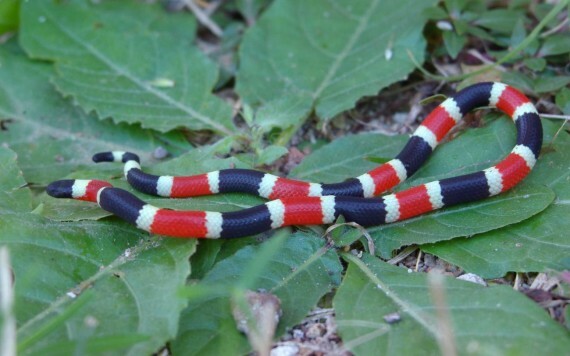 Black stripes run from their eyes down to the corners of their mouths. Cheetahs grow to between three and a half and four and a half feet long, not including their 30-inch tails. They weigh between 75 and 145 pounds and stand two to three feet tall at the shoulder. Males tend to be a bit more robust and weigh about ten pounds more than females. Cheetahs live in small, isolated populations mostly in sub-Saharan Africa. They are very rare in southern Algeria and northern Niger, and range from Senegal east to Somalia and south to northern South Africa. A few have been reported from Iran. However, many of their strongholds are in eastern and southern African parks. The cheetah is listed as vulnerable on the World Conservation Union's (IUCN's) Red List of Threatened Animals. Savannas, both open and more densely vegetated, give cheetahs the open areas they need for quick stalks and chases. They are not found in forest areas or wetlands. Cheetahs eat primarily hoofed mammals weighing less than 90 pounds, including gazelles and young wildebeest. They will also eat smaller game such as hares, warthogs, and birds. The Zoo's cheetahs eat ground horse meat and sometimes beef, rabbits, and chicks. Cheetahs can breed at any time of year but tend to copulate in the dry season, with cubs being born at the onset of the wet season. Females reach breeding age by 21 or 22 months of age. Males live in small permanent groups called coalitions, which are usually made up of brothers. Males are drawn to females in heat, but only one male in a coalition usually mates with the selected female. On average, three cubs are born about three months after mating takes place. Until five or six weeks old, the cubs remain hidden; if she needs to move, the mother carries them from place to place. After five or six weeks, cubs follow their mothers and share her kills. Cheetah cubs wean at about three months old. In zoos, cheetahs may live up to 17 years; in the wild, they may live eight to ten years. Female cheetahs live alone, except when raising cubs. They rarely associate with other cheetahs, except when ready to mate. Males live in small permanent groups called coalitions, which are usually made up of two to four brothers. To avoid lions and leopards, cheetahs usually hunt in the middle of the day. Cheetahs stalk their prey, approaching to within about 50 feet before dashing out from cover and sprinting at the targeted animals. Cheetahs grab their victims' throats and suffocate their quarry within a few minutes. After securing their meal, they may drag it to nearby cover. Despite their best efforts to hide their catches, their kills are often stolen by larger predators and picked at by hordes of vultures. Lions and hyenas also eat cheetah cubs; lions and leopards also kill adults. Once widespread across arid Africa, into the Middle East and east to India, the cheetah has suffered dramatic declines over the last century. It now lives in Africa, and a few may survive in Iran. Hunted for their spotted coats and because they sometimes attack livestock, they disappeared from many areas. More recently, widespread habitat destruction has fragmented cheetah habitats, isolating many populations. In many areas, the cheetah's prey has been overhunted by people. Scientists have also found that many cheetahs suffer from genetic defects due to inbreeding, possibly the result of a population bottleneck—a sharp decline—that occurred perhaps as far back as 10,000 years ago. Among other things, inbreeding could raise cub mortality, lower cheetahs' resistance to disease, and cause infertility. An estimated 8,000 to 10,000 wild cheetahs survive. Cheetah strongholds, where possible, must be connected to allow genetic interchange if this species is to survive. Also, conflict between cheetahs and humans needs to be moderated. For example, in Namibia, ranchers may legally shoot cheetahs that prey on livestock. A sprinting cheetah can reach 45 miles per hour within 2.5 seconds. Top speed—up to 64 miles per hour—can only be briefly sustained. In the 16th century, emperors and other royalty hunted gazelles with trained cheetahs.